the uneven ray pointing down, waning crescent at left and five petal rose at right. 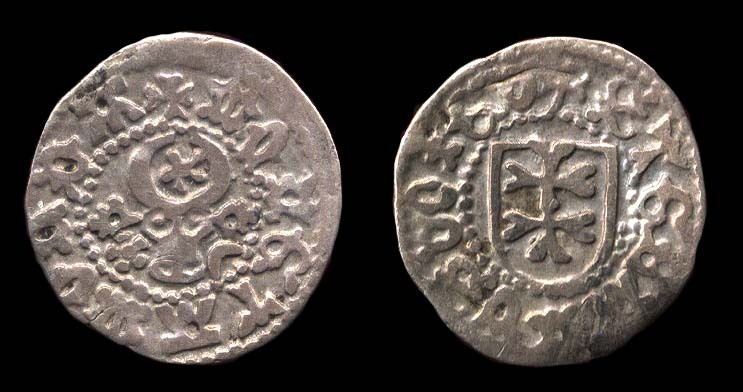 The coin was struck by Stephen the Great and the Holy, ruler of Moldavia between 1457 and 1504, the most important political and military Romanian leader of all times. According to the Bible of Romanian numismatics, Monede şi bancnote româneşti by George Buzdugan, Octavian Luchian and Constantin Oprescu (1976), this old coin is classified as a type II a gros (position 660).